As Florida’s number one industry, tourism is crucial to its economy, generating 23% of the state’s sales tax revenue. Keith Murphy is with University of Central Florida’s Rosen College of Hospitality Management. He says Hurricane Irma could impact Florida’s $100 billion tourism industry. "Because the state's in a state of emergency, a lot of tourists will be able to get refunds on their travel plans, either from the hotels or from theme parks," Murphy said. "Obviously that's going to impact tourism greatly coming into the storm this week and coming into this weekend." Local hotels are experiencing both cancellations and an influx of evacuees from the southern part of the state. Murphy said that some hotels are lowering their rates to assist people in need. State officials are asking hotels to waive their no-pet policies for animals and their owners seeking shelter. At this time, major parks, including Busch Gardens, have not announced any closures, but are watching Irma in case they need to make any adjustments to their regular schedules. However, Busch Gardens has postponed its weekend event honoring artist and conservationist Guy Harvey. The event will now take place December 16-17. Guests who bought tickets to an "Painting on the Wild Side featuring Guy Harvey" will get their money refunded. Many parks have policies in place when dealing with hurricanes. Busch Gardens, Walt Disney World, Universal Orlando, SeaWorld and Legoland all have policies that if a hurricane warning is issued by the National Hurricane Center for the Orlando area (Tampa for Busch Gardens, Central Florida for Legoland) within 7 days of a guest’s arrival date, the guest may call in advance to reschedule or cancel with no fees. However, if tickets and reservations were booked through a third party, it's possible that some costs will not be refunded. Carnival Cruise Paradise is scheduled to depart to Cuba Thursday out of Port Tampa Bay. However, the company is still evaluating the ability to call on Havana as scheduled. The Royal Caribbean Cruise Line Empress of the Seas originally scheduled to arrive on Saturday at Port Tampa Bay will now arrive mid-morning on Friday. Passengers will have the option to leave the ship then or stay onboard. Because the cruise scheduled to leave port Saturday has been cancelled, no new passengers will board the ship. However, if passengers on the first cruise stay on board, they will take a "cruise to nowhere" when the ship leaves port later Friday. That cruise is tentatively scheduled to return on Wednesday, Sept. 13. United States Coast Guard warns residents and tourists to stay away from beaches, saying “even the best swimmers fall victim to the strong waves and rip currents.” Irma may affect wave heights and currents, creating a threat for beachgoers. The warning also applies to boaters. The Friday event at Amalie Arena featuring comedians Chris Tucker and D.L. Hughley has been rescheduled to Saturday, October 7. The Florida Inventors Hall of Fame Induction Ceremony scheduled for Friday has been postponed and will be rescheduled to a future date. The USF football game at the University of Connecticut has been moved up to 10:30 Saturday morning, in order to allow USF to return home ahead of the storm. The memorial ceremony for Snooty the manatee at the South Florida Museum in Bradenton has been postponed from Sunday to Sept. 24. 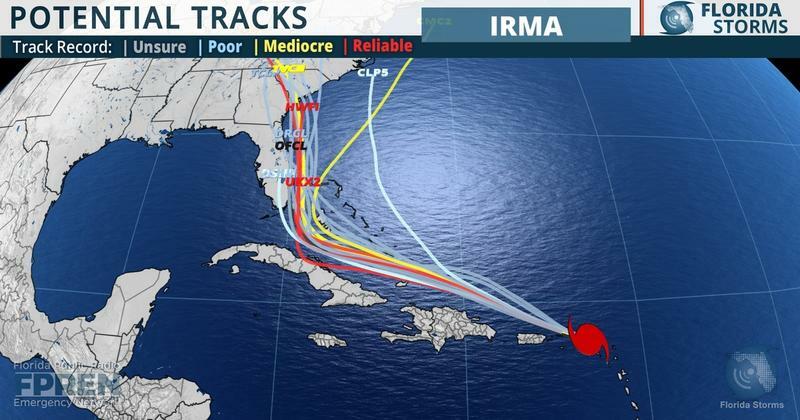 Hurricane Irma's projected path is still not clear, but state leaders are urging Floridians to prepare for the worst. Some events around the Tampa Bay area have already been cancelled and county leaders are providing sandbags for residents who want them. 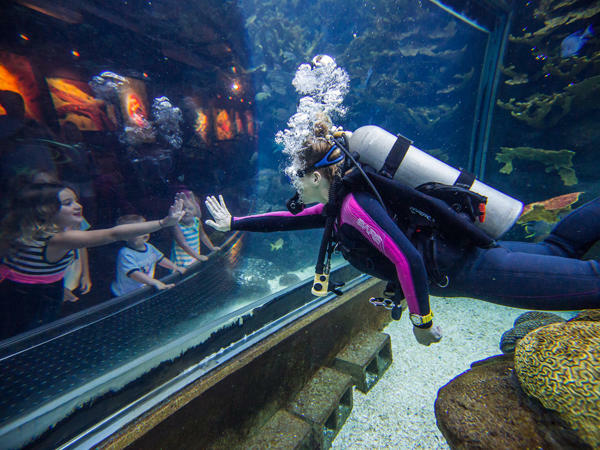 Governor Rick Scott was in Tampa Tuesday to unveil Florida's latest tourism numbers and he used the Florida Aquarium as the backdrop to his announcement. 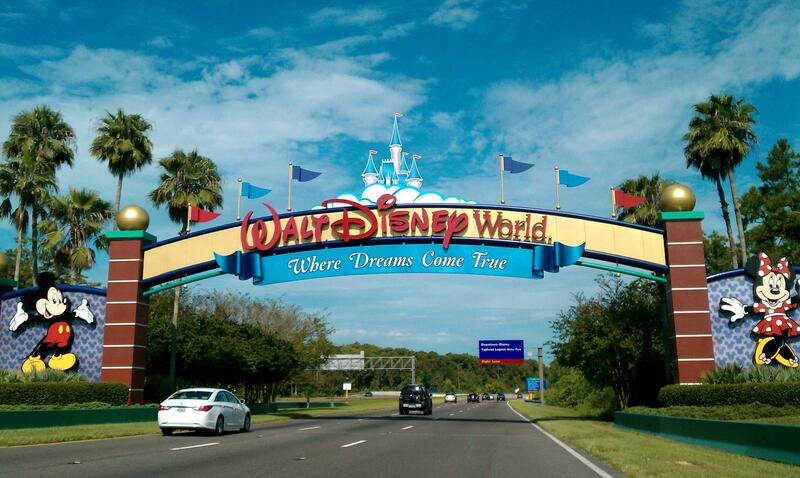 Scott said an estimated 60.7 million tourists came to Florida during the first six months of the year. That's a 4.1 percent increase over the same time period in 2016.